thanks for sharing information about admission interview . This was one of the countless scenarios that my mind was inventing, preparing myself for the worst, as I was waiting for my interviewer to arrive. BUT DON’T WORRY. The real meeting with my interviewer was nothing like the nightmare that my imagination concocted. My interviewer was an alumnus of Rochester, and he was very kind. As we were talking, I could immediately tell that he genuinely wanted to get to know me and was there to help me. While you’re getting your Common Application and all of your supplemental essays completed, don’t forget to also register for interviews! Interviews are very important; they can not only help strengthen your application, but interviews can also help you earn merit scholarships. *I registered for an off-campus interview, in which I was interviewed by a Rochester alumnus. You can also participate in an on-campus interview with an admissions representative or a virtual interview (for international or transfer students). 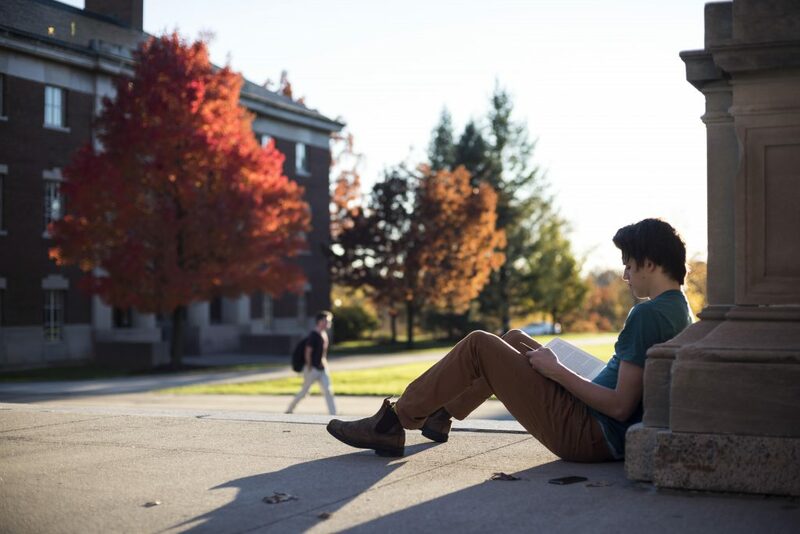 Be ready to answer the typical interview question, “Why the University of Rochester?” Think about what drew you to Rochester: the beautiful campus? The flexible curriculum? Classes taught by award-winning professors? The welcoming atmosphere? Think about which aspects of the school appeal to you but also talk about how that aspect of Rochester will benefit you and further your goals. Be prepared to talk about your current course load, extracurriculars, and potential majors. What is your favorite class in high school? What is your least favorite class? What kind of clubs and extracurriculars are you doing now? Are there any clubs or extracurriculars at Rochester that you would like to join? Interviewers also tend to add additional questions, like “What is your favorite book?”, “What do you think is the best/worst about high school?”, or even “Do you think smartphones have improved or hurt us overall?” These questions aim to find out more about you as a person and how you think. There is no right or wrong answer; the interviewer just wants to hear your opinion! Relax and be honest. 2. Arrive at the agreed upon location about 10-15 minutes early. Arriving early would not only allow you to have time to situate yourself to the setting (college interviews are usually hosted at coffee shops or small conference areas), but it would also show that you respect the interviewer’s time and are prepared. Arriving early can also account for any unexpected obstacles such as traffic. You do not have to wear a suit with dress shoes or a formal dress with heels. However, I would avoid wearing jeans, t-shirts, or low-cut shirts because they appear less formal. Fun fact: a person can form their first impression of others within the first 1/10 of a second after meeting. Thus, although clothes are certainly not a deal breaker, it is important to dress for success! 4. Ask your own questions. The college interview is not only a time for the school to get to know you but also for you to get to know the school. These interviews serve as an opportunity for you to talk with someone who is familiar with the school. Take advantage of that! When the interviewer asks if you have any questions for them and if they’re an alum, ask what clubs/organizations they were a part of or what they thought about the dining options on campus. Ask about their experiences living on campus. Ask about campus safety and resources available to students. Ask what their favorite class was. The interview is also a time for you to get more information! 5. Send your interviewer a thank you note or email. I was very surprised at how well my interview for the University of Rochester went, and, in my opinion, that was mainly because of my interviewer. Again, interviewers only want to help you, so they will make sure that the conversation goes smoothly and that you are comfortable talking to them. Thus, be sure to thank your interviewer for the time and effort they took to interview you. I would recommend thanking the interviewer within a week after the interview. 6. Enjoy the college interviews! College interviews are a time for the alum or admission counselor to get to know you as a person. Again, interviews are just conversations, so be yourself! So, don’t forget to schedule your college interview while you’re filling out your college application for the University of Rochester!